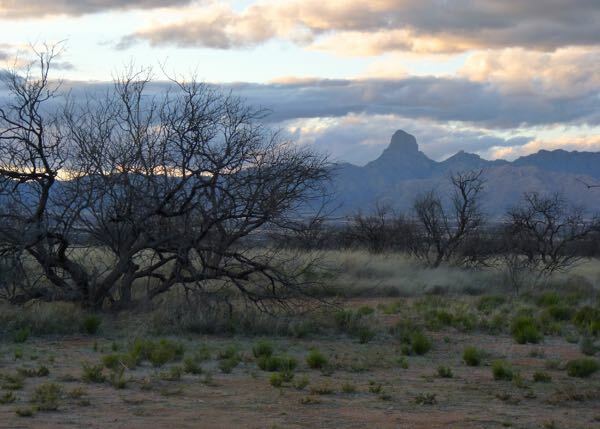 South on AZ-286 took me through the Altar Valley and to Buenos Aires National Wildlife Refuge. At the small Visitor Center, I watched a video about the history as a ranch, features of the refuge, and efforts to restore habitat. Exhibits of plant and animal life on the refuge were good. 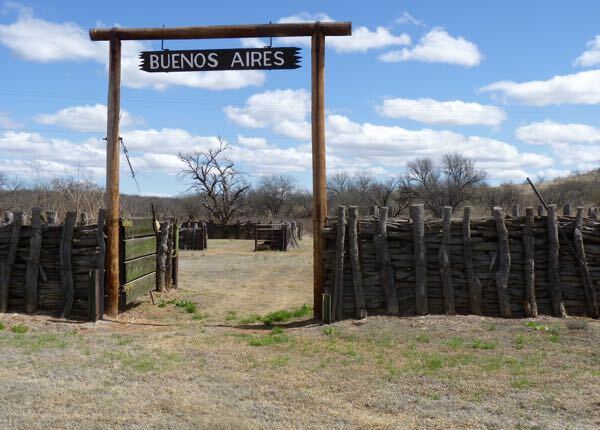 An easy and short trail behind the Visitor Center went through grass and mesquite trees to a corral once used by the Buenos Aires Ranch. There were cages set-up nearby for breeding Masked Bobwhite quail, and a pool for the Chiricahua Leopard frog. A small Pronghorn herd has been re-established; but, I didn’t see any. 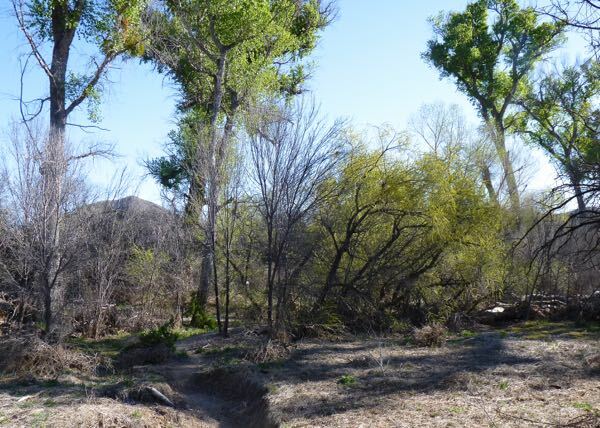 On the west side of town, the Arivaca Creek trail meandered along the stream with tall cottonwood trees. Just a little water in the creek here and there. Passed a rundown corral along the way. A whitetail deer quickly ran into the woods; so, I didn’t get a usable photo. 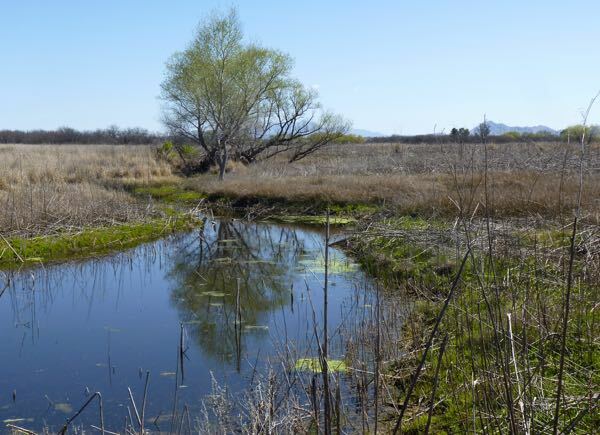 On the east side of town, the Arivaca Cienega trail was partially paved, then hardpack dirt and boardwalk through a wetlands area. There were supposed to be a wide variety of birds there; but, I saw few. And, I heard that the wildflowers are fantastic a bit later in the springtime. Dispersed camping was allowed at numbered sites only; a map showed the locations. The Visitor Center had a binder with a photo of each spot. Some were accessible by car, and others only by 4×4; the road for cars was passable for RVs. The best part of the visit was the remote boondocking with well separated camps. 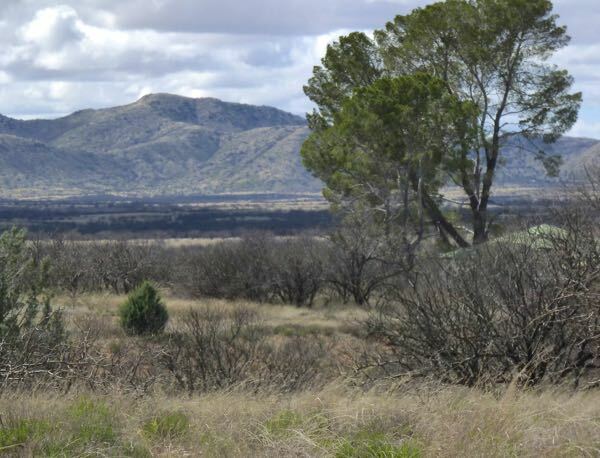 Spacious pull-thru sites and small mesquite trees with a good view of the Baboquivari Mountains. At almost 3,500 ft the temps were nice, plenty of solar, good internet, and solitude. Alone and quiet except for the occasional yelp of coyotes. Love the view from your camp. I certainky would have had a hard time leaving that spot. Well, it was hard to leave; but, the tanks were getting full. So many wonderful things to see yet.